The MR Series Multi-voltage Control Relays offer SPDT or DPDT 10 Amp resistive contacts which may be operated by one of four input control voltages. A single relay may be energized from a voltage source of 24VDC, 24VAC, 120VAC or 230VAC by wiring to appropriate input terminals. 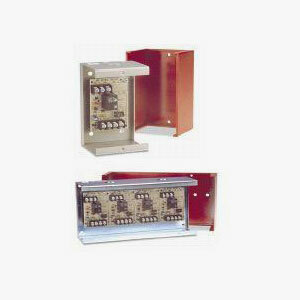 Each relay position contains a red LED, which indicates the relay coil is energized. Relays may be "snapped apart" from a standard 4 module assembly and used independently. These Devices are Ideal for applications where local contacts are required for system status, remote contacts for control of electrical loads and general purpose switching.